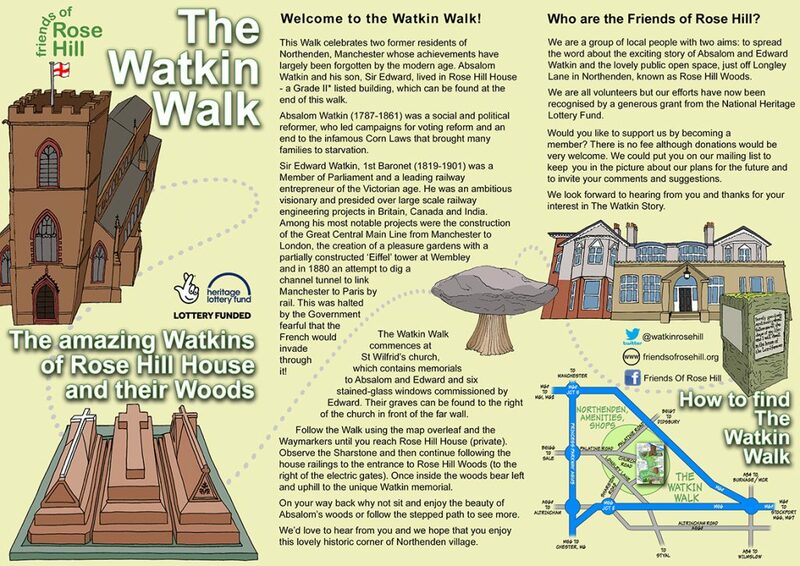 One of the aims of our Heritage Lottery Funded project was to create a guided walk of the significant sights related to the amazing story of the Watkin’s in Northenden. The enormous Ice-Age boulder – 10,000 years old – behind the railings of Rose Hill House. Edward had it brought from his farm in rural Woodhouse Park! Leaflets are now available in Northenden at St. Wilfrid’s Church, the Community Library and The Crown Inn. 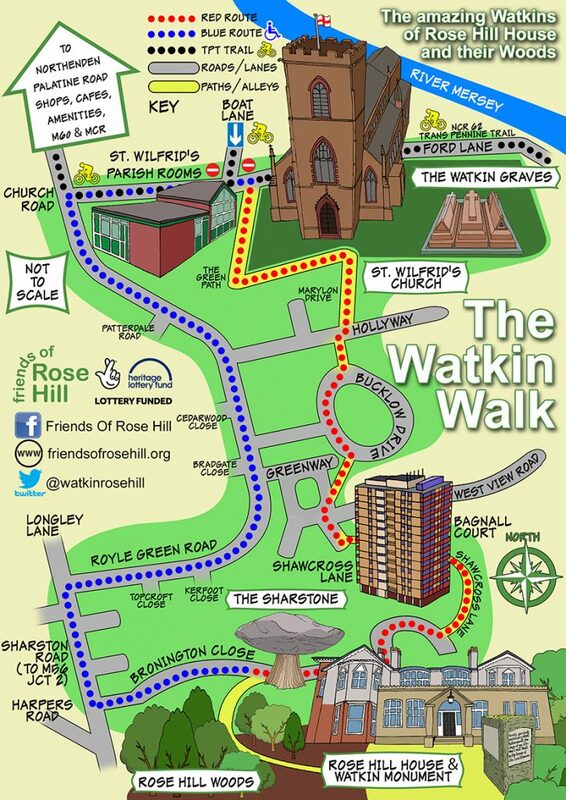 We will do our best to ensure The Watkin Walk leaflets can be found in local shops, Wythenshawe Civic Centre, Central Library and at St. Wilfrid’s PS and Northenden Community School. You can also download a printable version of the walk here. Click on the links below for a high quality print version of both sides of the leaflet or scroll to the pictures below to view on your device. The images will open in another page or tab. You can either print them directly from your browser or use your mouse to right-click on the image, select “Save As” and save them to your device for printing or viewing later. 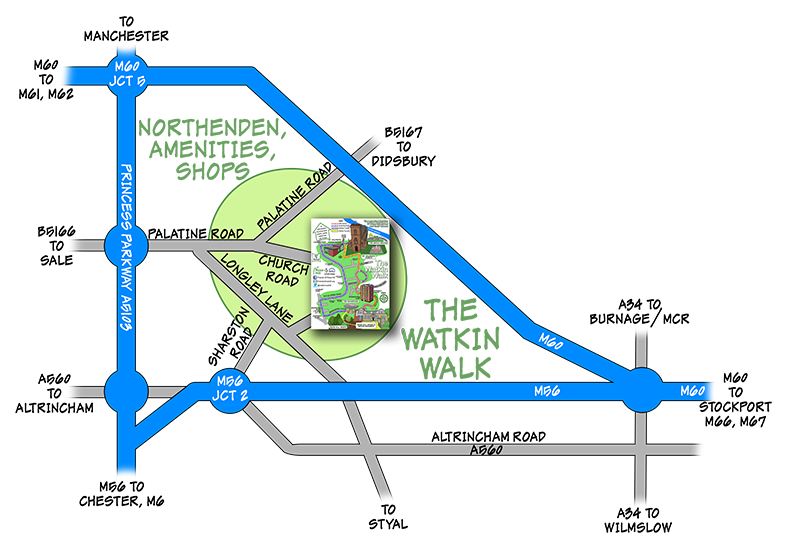 If you know Northenden it shouldn’t be too much trouble to find the walk, however if you are coming from a distance the map below should guide you in to the walk area. Don’t forget, if you are coming into Northenden by bicycle we are also on the NCR 62, part of the Trans Pennine Trail.